It’s hard to believe winter is almost here again! 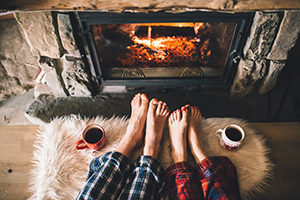 Here are some easy and inexpensive ways to lower your heating bill this season. Caulk around the windows and check for any holes outside your home. Replace weather stripping around the doors. If you can see light or feel a draft, it needs to be replaced. Put drapes over the windows to help keep the heat in and the cold out. The heavier the drapes, the better. Rugs add a layer of insulation above the floor. If you have an older hot water heater, put a cover on it to help it stay warm. Close the flue to your fireplace when it’s not in use and make sure it closes all the way. If you don’t already have them, you may want to consider adding glass doors to help with insulation. Change your filter monthly during the cold weather season. Don’t make your furnace work harder than it has to! Get a programmable thermostat so you can keep temperatures cooler when the house is empty and warmer when it’s occupied. Keep your bathroom door open when you shower so the heat can spread to other rooms. Leave the oven door open after you turn it off until it cools down so you can enjoy the added warmth. Questions about real estate opportunities in the Greater Boston area? Contact Barrett Sotheby’s International Realty!